The White Rock Vulcan Helmet is a fully featured helmet at a great value price, no excuse, protect your head! 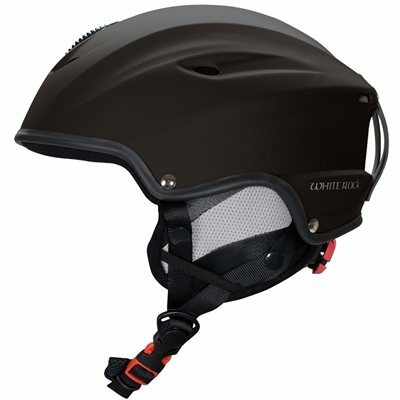 This helmet features an external shell made from ABS giving solid, durable protection. The impact absorbent inner also features an antibacterial lining and ultra soft, removeable ear pads. The rear twist size control and fully adjustable, quick release chin strap offer an optimised fit while the external air venting allows optional air flow to reduce heat build up. There is a goggle retainer clip and protective carry bag included.